The design of structural solutions for the domestic market require a different approach to commercial developments. Practicalities of construction are key and can be limited more by lack of space or the requirements of the client to continue to use their property during the works. Aesthetic considerations also rate very highly on the detailing of any solution and this has become ever more in the client’s mind in recent years. The desire for more open spaces in the home and larger bifold doors require more inventive solutions. This in turn can lead to the need for greater use of 3d products for better visulisations. 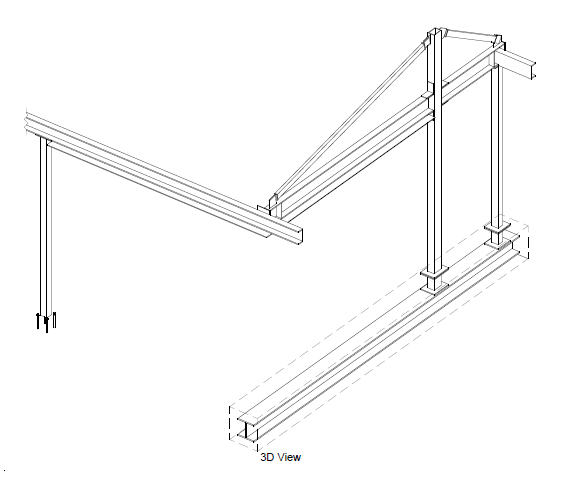 We have adopted the use of a specialist steel fabrication package to provide 3d detailing as well as using SketchUp. There has also been a growing trend for loft conversions and basements as the price of housing rises, particularly in London where land is at a premium. In these projects space is key and correct detailing can make a noticeable difference to the construction and the finished item. We work with several dedicated loft conversion companies and have been able to develop a system that works in a great variety of properties. Not only does this reduce the design time and fee, but this then give rise to fewer problems on site as our method has been implemented on many properties before. Although domestic projects can be small, they can often be very interesting as the designer needs a knowledge of a great variety of construction materials, types and details. One project can require the ability to design in steelwork, concrete, masonry, timber and even glass, whilst understanding he interaction between all these elements. The design of a steel framed building, although, may seem a more substantial project, may only involve the knowledge of one material. This depth of knowledge increases further when considering the development of older or historic buildings. The designer needs to have awareness of construction techniques that are no longer used, materials that may have particular concerns – such as clay lump buildings, stone buildings, historic timber frames and the effects of interfacing these wit modern materials.